A new study conducted by 20:20 Research and Spirit of Creation has established that even music totally unrelated to patients’ lives has the power to ‘reconnect’ them with their surroundings and with other people, with lasting effects. Singer-songwriter Beatie Wolfe performed live for people with dementia in care homes across the UK. 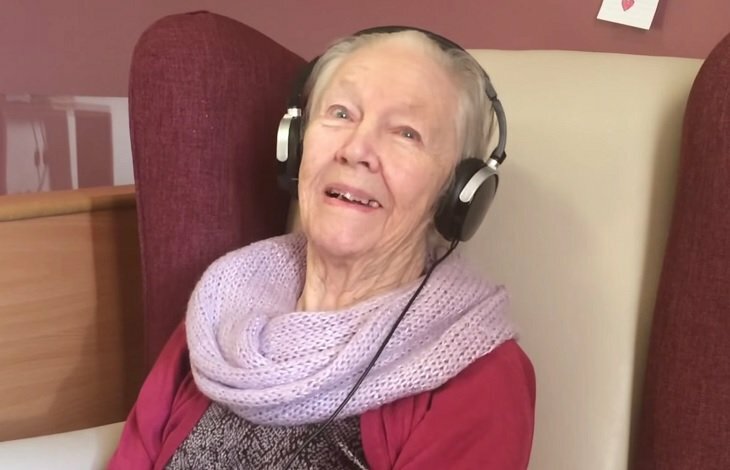 Over the next two weeks, the patients listened to her work on an MP3 player. In the final two weeks of the experiment, a range of other music was played to residents. Three quarters of the patients involved in the study responded to the music immediately to the live performance. They opened their eyes, smiled, moved to the music or hummed along. After the experiment, residents were observed at two and four week intervals. In the majority of cases, communication skills were better at two weeks, although this was not sustained to the four week observation. “Music is very closely bound up with emotion and has the power to reach down into people’s memory and let them reconnect with the person they were before they became unwell,” Bob Peters, managing director of 20:20 Research said. Patients’ memory improved in both the short and long term, with residents able to recall where they were, the time of day and even people’s names – one of the hardest tasks for people with dementia. Their recall of events that happened in the recent past, as well as long ago was also improved. They also appeared less frustrated and troubled by their situation, including how long it took them to perform everyday tasks.